oh, I’m so excited, because this is my day! december 13 is the 13th day of “24 merry days“ and i’m giving away a wonderful, wonderful gift. 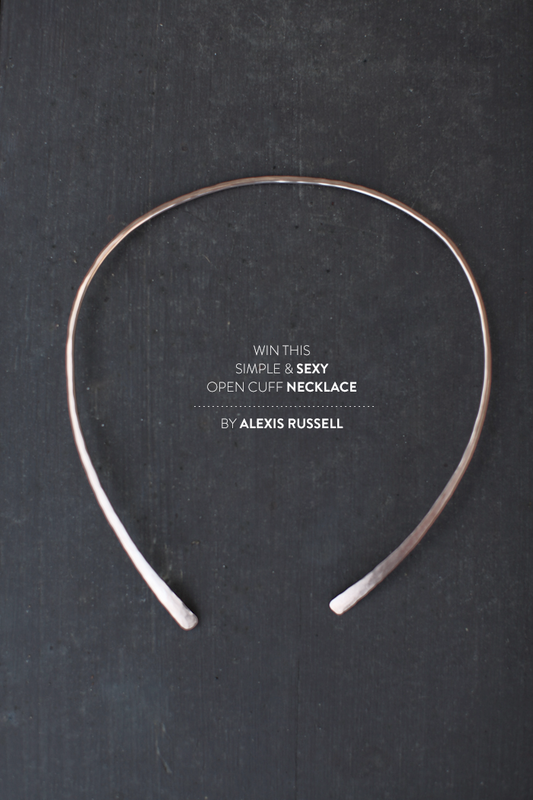 it is a beautiful open cuff necklace from alexis russell. this stunning jewelry could be won by any of you no matter where you are located. tt’s very easy to enter, you just have to follow the instructions in the box below. all the girls from “24 merry days“ are using rafflecopter, so you have not one but 20 chances to win! good luck. много се вълнувам днес, защото е това е моят ден. 13 декември е точно 13-ия ден от “24 merry days“ и днес аз имам за вас страхотен, страхотен подарък. много нежно и красиво дизайнерско колие на alexis russell. то може да бъде спечелено от някой от вас, независимо в коя част на планетата се намира. лесно е да участвате, само трябва да следвате инструкциите в малкото каре по-нагоре. всички в “24 merry days” използваме rafflecopter, затова вие имате не един, а 20 възможности да спечелите. успех. Such a beauty! 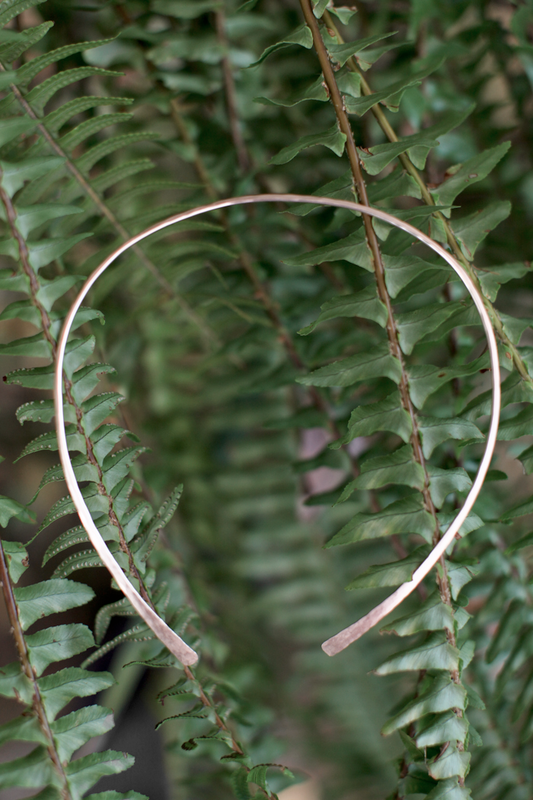 And that one hammered sterling stacking bangle – OMG! I love love love Alexis Russell's jewelry. They are all so delicate. I'm especially coveting the Pave Diamond Ellipse Necklace, but really I didn't find a piece I didn't love. I love the diamond skyline earings – so simple and just gorgeous! thank you, edita. i admit that i LOVE this beauty in rose gold. thank you for your comment and good luck. I love the diamond skyline ring! I love it! everything looks so simple but beautiful! chic, classy and clean-I love her style! omg i love the pave gold ellipse necklace. so elegant and chic! the necklace is beautiful and I also love the hammered stacking bangles! I love the natural rose-cut champagne diamond ring in rose gold. beautiful. looove the diamond skyline necklace!!! I love it!! so simple and so gorgeous.. I love that necklace and the diamond slice hand chain! I absolutely adore the diamond skyline cuff bracelet – so elegant! Such beautiful jewelry! I would love those hammered gold stacking rings. So simple and beautiful. The pave diamond arc necklace is my favorite. The rings are breathtaking!! I love the natural rose cut black black diamond ring, simple and beautiful! The Natural Pink-Grey Rose Cut Diamond ring is jaw droppingly beautiful. I've had my eye on a natural diamond ring for awhile! All of her rings are amazing! I can't pick a favorite! I love the simplicity but unexpectedness of the necklace. And her rings! I like the open cuff and the hammered bracelets. All of the rings are amazing and the geode studs are fabulous. This necklace is such a beautifully understated statement piece! The natural gray rose cut ring is amazing. I think my favorite item is the stacking ring, but so many things are so very beautiful!! i love the 14kt rose gold wishbone earrings! I love the cage necklace! My favorite piece would have to the the Pave Diamond Ellipse Rose Gold Bracelet. Great necklace! I love their Suede & Chain Wrap bracelet. So pretty! The Rose Gold Stacking Bangles are stunning! The druzy agate studs are GORGEOUS! I hope I win and Im in love with the pave diamond ellipse bracelet and the Blue sapphire stud earrings! So pretty! the rings are also gorgeous! Wow! That is the perfect size for a cuff necklace. So simple yet elegant at the same time. The Natural Rose Cut Champagne Marquis Diamond Ring is stunning! Love the open cuff bracelet! I adore that dainty little red diamond ring! And this cuff necklace! I love nearly all of it. Wow, I love the Short Tusk necklace. Oh wow! What an amazing gift to be sharing with all of us. I absolutely love Alexis' work – every single thing. And I think you have the most amazing taste Radostina. Your blog is the one I look forward to in my feed every morning. I love the long chainy keum boo necklace! All of her rings are gorgeous! The Rose Cut Black Diamond ring is incredible! LOVE the "Natural Rose Cut Red Diamond Ring – 14kt White" amongst many others! beautiful! i love the black and white diamond cuff bracelet. I've been a long time fan of Alexis Russel's jewelry and I would be happy with ANYTHING- but I love her natural rose cut slice diamond ring or her stacking rings… or, anything really!!! I love the diamond skyline earrings! I love the Diamond Skyline earrings. Wow! I absolutely love Alexis's jewelry :) It's stunning. My favorite is the black and white diamond cuff bracelet. Simply gorgeous! I love the organic style mixed with the stones, so versatile. Love the Rose Gold Pave Diamond Eclipse Bracelet–even saw it in Lucky and lusted after it! I love the Modern Black Diamond necklace! My favorite is the Natural Rose Cut Diamond Slice RIng in Rose Gold…I might actually choose this as an engagement ring! It's beautiful. i really like the pave diamond ellipse necklace! I adore the diamond skyline earrings!! Love this necklace and the Skyline Diamond earrings! I like the diamond skyline cuff bracelet. Looooveeee the hammered gold fill stacking rings. Omfg. I don't mean to be cheeky, but I love it ALL! Love the natural rose cut black diamond ring! It's amazing, as is the necklace! I would get the open cuff necklace. The chevron hand piece is amazing! I Love the natural grey rose cut ring! I think My favorite is actually the giveaway piece. Simple and sleek! My favorite is the necklace for the giveaway! So pretty. Beautiful pieces. Like the hammered silver stacking bangles. Looooove the natural rose cut grey diamond ring! open cuff bracelets are my favorite! The rose cut black diamond engagement ring is so pretty. The Natural Rose Cut Grey Diamond Ring is absolutely GORGEOUS! wow, so elegant and simple….looove the entire collection!! Oh so many beautiful things! my favorite is the natural rose-cut diamond rings! I'd create a whole stack! I love the grey rose cut diamond ring! the cage necklace is gorgeous! Love the diamond chevron lariat! I love the chocolate diamond eclipse ones! Gorgeous pieces! I love the natural rose cut grey diamond ring. Natural rose cut grey diamond ring!!! Thanks for such a gorgeous giveaway – my fingers and toes are crossed for the prize draw!! This is gorgeous! I love it. Thanks for this giveaway. I love the silver white rose cut gold ring! all of her rings are stunning! i love the simplicity of this necklace, but also covet the silver-grey rose cut diamond ring, the sideways teardrop one :) thanks for the awesome giveaway! Wow, that necklace is incredible. This is a lovely necklace, and I would love to wear it to New Year's! So pretty! I saw something like this in bali 3 years ago and am still kicking myself today for not buying it, but now it seems an amazing designer has brought it stateside! I love the pave diamond orbit ring! So pretty! Beautiful! I love the chevron hand piece. And everything else! Um, amazing. So impossible to choose! I love the simplicity of the natural clear rose cut marquis ring. A girl can dream. Everything is beautiful…! Seriously. Everything. I think I would have to choose one of the rings, like the Natural Rose Cut Champagne-Red Diamond………. Love the simple diamond slice necklace and bracelet! That pave diamond and leather bracelet is unreal, PICK ME!! I also love: pave diamond orbit ring! I love the rose cut black diamond ring! I really love the Chocolate Diamond Lotus Earrings. I love the natural Silver-Grey Rose Cut Diamond Ring-14kt yellow ring! I love the crescent moon necklace! This necklace is a stunner, and I love the chocolate spike stud earrings as well! The natural rose cut diamond is probably the prettiest diamond ring I've ever seen. I love the rose cut red diamond ring! I love the natural gray rose diamond rings – so gorgeous! My favourite is the Open Cuff Bracelet. The men's white gold hammered band with black diamonds is absolutely gorgeous. Love how the diamonds are flush with the ring. So gorgeous: I love this necklace! Love the hammered 14k yellow gold stacking bangle!! Love the chocolate diamond cluster earrings! Love all of the gorgeous rings! the cage necklace is beautiful. I really love the Organic Chocolate Diamond Necklace, <3, Alexis Russell is a really awesome designer! The Elipse Necklace is stunning. Alexis is so talented. i adore the titanium silver druzy studs! All the pieces are so lovely. Pave Diamond Ellipse Necklace is my fav! Natural silvery-grey rose-cut diamond, please! My favorite piece is the Breast Cancer Awareness Bracelet – Rose Gold Open Cuff. Thanks for the giveaway! This is an awesome necklace! So many nice piece…. I think that the Pave Diamond Ellipse Necklace is one of my favorite ! Completely agree with sharon, Pave Diamond Ellipse Necklace is so beautiful. I may have to buy that necklace if I don't win it! It's too perfect. absoulutely loving the necklace that is being given away, but also the LONG ROUGH DIAMOND BAR NECKLACE…. ah, a girl can dream! That Herkimer Diamond ring in rose gold is beautiful, and I'm dreaming of the natural clear rose cut marquis diamond ring. Swoon! Love the diamond skyline earrings! I love the simple gold shield ring! the emerald stacking ring is gorgeous! so simple! you could wear it with so much! 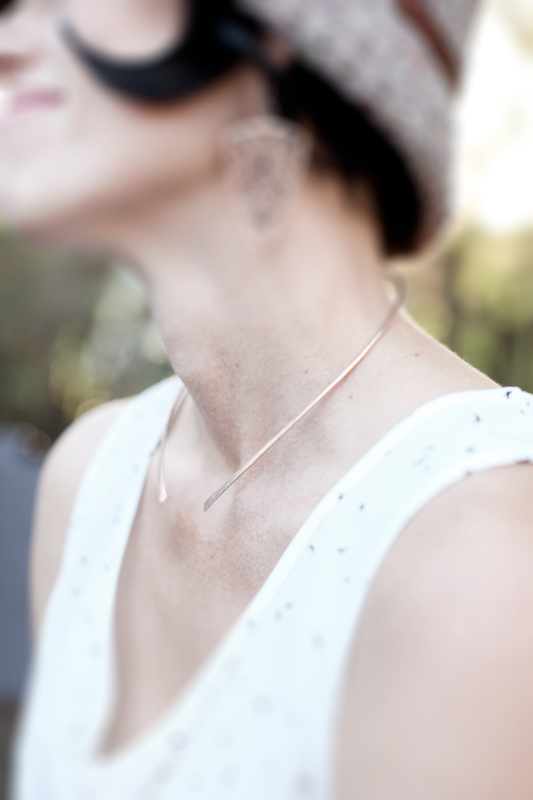 that super simple and lovely chevron hand piece…so versatile! WOW! All those rose cut diamond rings are gorgeous! I wish I had a set to stack! wow, love this necklace. right up my alley! Her diamond rings are gorgeous! But I really love the hammered gold stacking bracelets. Her diamond rings are absolutely stunning! Ahh I've always liked open cuff necklaces but I've never seen such a delicate one before. This is lovely! wow. absolutely stunning, simple, and classy. i love the cuff bracelets as well! I love Alexis Russell! My favorite piece is the raw diamond earrings! Those tusk earrings are fun and basic! I love the Pave Diamond Ellipse Necklace. Simply stunning! Such a simple necklace, I love it! What an absolutely lovely shop! The diamond chevron necklace is absolutely stunning. Wow, what a beautiful necklace. My sister isn't really one for jewelry, but the elegant simplicity of this necklace is just her style! She would love it. I love the diamond ellipse bracelet! SO pretty! Thanks for a lovely giveaway. My favorite is the pink morganite stud earrings! Whoops, and I think my favorite item might be the green garnet studs, although everything is beautiful. I love the open cuff bracelets! the open cuff bracelets looks wonderful.. I've always loved Alexis Russell's jewelry. The rough diamond stud earrings have been my fave, though I'd love to get one of her open cuffs, too. I love the pave diamond hamsa necklace. love the natural rose cut grey diamond ring!! oh my goodness, the natural rose cut green diamond ring is beautiful! Love a chocolate diamond ellipse earrings! i wish to give this necklace :http://alexisrusselldesign.bigcartel.com/product/save-the-date-necklace tomy best friend on her wedding day! Love the open cuff rings, the chocolate diamond spike studs and the necklace with ice blue aquamarine briolettes. Please Santa! I love a classic gold stacking band! everything it's so beautiful,but one of my favorite has to be the emerald stacking ring! Ohh wow. A stunning necklace!